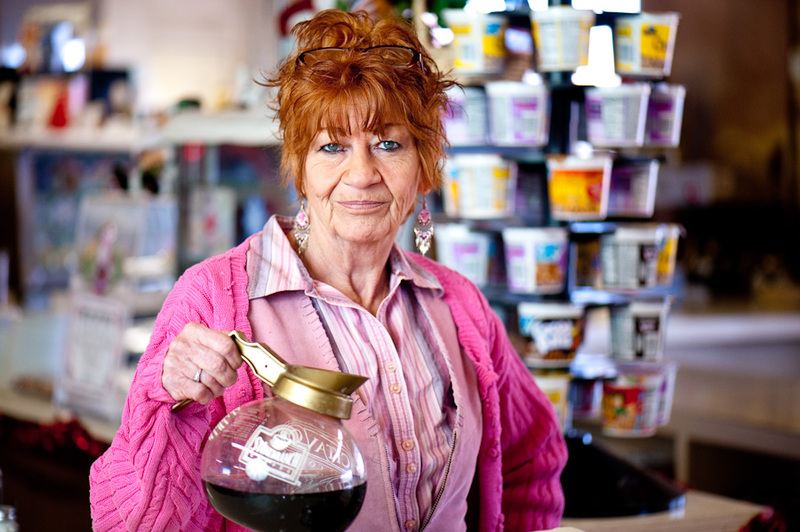 I’ve just found out that this picture of Sherry, a waitress at Wade’s Drive-In in Harlowton, was selected to be part of the Portraits exhibition at the Center for Fine Art Photography in Fort Collins, Colo. The exhibit will be on display in the Center’s online gallery and physical gallery from January 13 – February 25, 2012, with artists’ and public reception on February 3 from 6-9pm. This portrait is one of my all-time favs, Thomas! I’ll second that! And congrats — you deserve the recognition. Wow! Congrats on this! Since they have an online gallery, please send a FB link when the exhibition starts. Happy to pass it around.